version 7.4.12 ・ Apr 14, 2019 What's new? 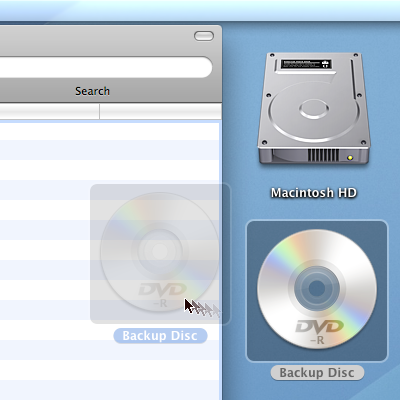 Drag and drop your disk icon onto the catalog window. 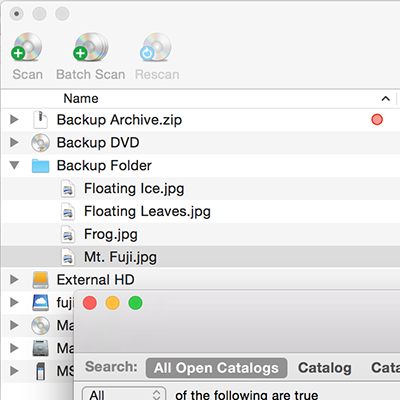 Use batch scan mode for multiple discs. You can also use the generate thumbnail images option. And please compare its fast cataloging engine with other catalogers! Finder like intuitive look and feel. You can print a catalog. Use “Select Original” to reveal an item on Finder. Use “Open Original” to open an item directly. Use “Quick Look” to preview an item without even opening it. Find by name and other file attributes. Use AND/OR boolean search expressions. Search through your catalogs via Spotlight. 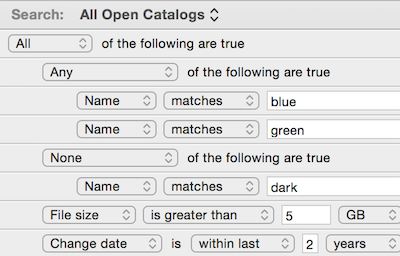 Opening multiple catalogs at once. Optimized cataloging engine for multi-core/multiprocessor systems. Trusted catalog database format for scalability and storage of huge data. Compressing catalog data for disk space. Cataloging a folder on a network volume. Long unicode name and Asian languages support.